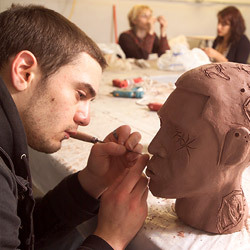 If you intend to obtain a degree in art or design, there are many reasons to consider PrattMWP before selecting a college. PrattMWP is the upstate New York extension campus of Pratt Institute, one of the world’s leading colleges of art, design and architecture. Pratt Institute is ranked among the top design schools by BusinessWeek, and number one for fine arts and studio programs in USA Today, and PrattMWP was ranked among the top US design schools in Graphic Design USA. The curriculum at PrattMWP is identical to Pratt’s, ensuring a world-class education and seamless transition to the Brooklyn campus in year three. 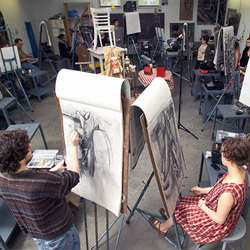 Finishing Your Degree at Pratt’s Main Campus in Brooklyn, New York: Upon completion of your first two years at PrattMWP, you may automatically relocate to Pratt’s main campus as a junior to finish your BFA degree as long as you remain in the major in which you were enrolled at PrattMWP. Upon graduation, your degree is awarded by Pratt Institute, and you become part of a prestigious and extensive community of talented Pratt alumni. If you decide to switch to a different major when you relocate to Brooklyn, it will take more than two years to complete your degree. Further details about the relocation are listed at Student-Life. Details about Pratt’s junior and senior year curricula are available at Pratt. 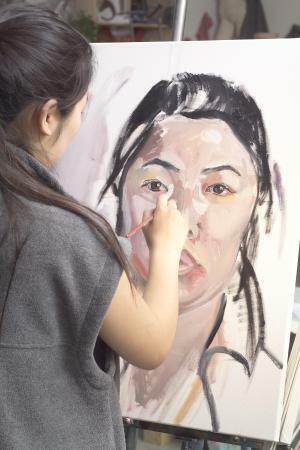 In addition to the prestigious curriculum, Pratt’s reputation, and the automatic relocation to Brooklyn, below are just a few of the reasons students choose PrattMWP College of Art and Design. Professional Faculty: PrattMWP features a faculty of professional artists and designers that prepare you by offering personalized instruction in state of the art studios and computer labs. The student to teacher ratio is 10 to 1, ensuring individualized attention in every class. 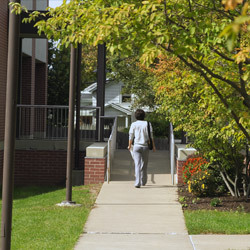 An intimate and nurturing environment on an 11 acre campus with a mix of historic and contemporary architecture, including the MWPAI Museum of Art, in Utica, New York, a quaint city with historic homes near six million acres of protected Adirondack wilderness, makes PrattMWP an ideal choice if you are looking for a quieter environment for the first two years where you can focus on your work. 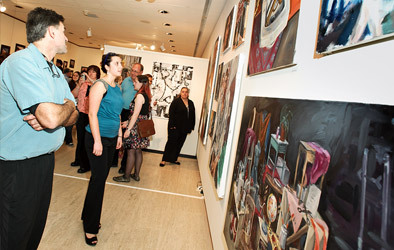 You will also benefit from the highly regarded Easton Pribble Visiting Artist Lectures; a wide-array of non-credit learning opportunities in art through our Community Arts Education programs; significant tuition savings; and help with study skills, time management, or other special learning requirements in the colleges Resource Studio. Generous Merit-based Scholarships and a Significantly Lower Tuition: For many students, PrattMWP is the most economical way to obtain a degree from Pratt Institute. PrattMWP’s tuition is $ 30, 97 0, much less than the main campus tuition of $47,986. Additionally, all students are considered for merit-based scholarships, at the time of acceptance, with no separate application required. Strong Career Placement/Life After Pratt: PayScale ranks Pratt number one among the best art and design schools with respect to the mid-career salary of its graduates. In Pratt’s most recent survey, 91% of its undergraduate students were employed within six months of graduation. How Can You Tell if PrattMWP is Right for You? Visit campus and/or participate in a summer pre-college program for high school students. Visiting Campus: View visit options and schedule online. Options include information sessions, campus tours and portfolio reviews/meetings with an admissions counselor. Both on-campus and off-campus portfolio reviews near you are available. Summer Pre-College Program for High School Students: Immerse yourself in an intensive studio environment with other gifted students from around the country and develop your portfolio as well as your design, and drawing and painting skills. Read more at Summer Pre-College Program. A world of academic possibilities awaits you at PrattMWP! Apply online now and view admissions requirements.